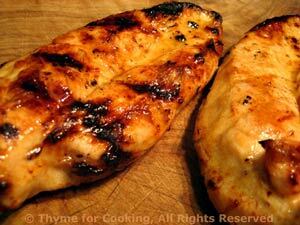 Grilled Chicken Breasts, from Thyme for Cooking's Weekly Menu Planner. We eat a lot of salads in summer. 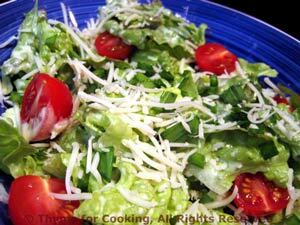 The Creamy Yogurt Dressing is a favorite and keeps about a week in the fridge. 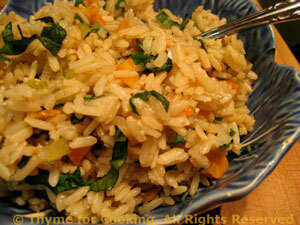 I use Uncle Ben's Brown Rice which looks like brown Basmati and cooks quickly, in about 15 minutes. If you can't find a quick cooking brown rice and don't want to wait for the traditional to cook in 40 minutes (or so) you can substitute white Basmati which also cooks in about 15 minutes. Look for the brown, though, better flavor and more nutrition.